Charter a private flight to Verona, a romantic destination for private jet travelers. Whether you’re booking a private flight for a romantic weekend getaway for two or to conduct business meetings in Veneto, we have access to thousands of Wyvern-certified private aircraft and can arrange the perfect aircraft and flight itinerary for your trip. Jet Charter Europe believes in providing private flyers with a one-on-one consultative service experience that exceeds every expectation. We understand that your time, privacy, flight preferences and most of all, safety, are all extremely important. Our private jet charter representatives are available for you by phone and email 24 hours a day, 7 days a week. When using our private aviation service, you can expect quick response times and an easy, hassle-free booking process. 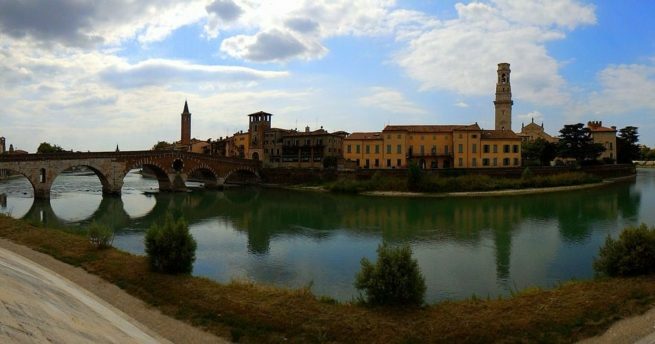 Request a quote or call us today and arrange your private charter flight to Verona, Italy. Verona is a city in northern Italy’s Veneto region, and know throughout the world as the setting of Shakespeare’s “Romeo and Juliet”. The ideal times for luxury private jet travelers to visit Verona are in the Spring where you’ll suirround yourself with fragrant blooms, or September/October for vineyard tours full of autumn colors. Verona offers a variety of hotel and resort options for luxury getaways, business trips and special events. With all of these options available, we’ve created a list of our top choices based on factors such as Jet Charter Europe passenger feedback, location, amenities and online reviews. Once you arrive in the Italy via luxury private jet, our Verona Jet Charter service brokers can also arrange ground transportation to/from the hotel of your choice. Located between Venice and Milan, Verona is known as the “Italian Door” as it is the first city private luxury jet travelers see when coming from the north. The ancient Roman gate Porto Borsari once marked the southern entrance into Verona, and is a beautiful example of the way in which ancient ruins are layered into the modern city of Verona. The Verona Arena is a Roman amphitheatre in Piazza Bra; built in the 1st century, it predates Rome’s Colosseum by nearly 50 years, and through remarkable preservation is home to Verona’s annual summer opera festival. The city also contains a 14th-century house said to have “Juliet’s Balcony”, despite the building’s connection to the play being fictional. The Veneto region offers unique wine tasting opportunities, even by Italian standards. Few other places exist where you can experience a refreshing, sparkling white wine like Prosecco and a hearty, full-bodied red like Amarone in the same afternoon. The region Valpolicella is one of Italy’s oldest wine producing areas, cultivated by Romans here more than 2,000 years ago. Wine tours are available where you can arrange fully customized winery tours including transport, an English speaking sommelier, and winery bookings. 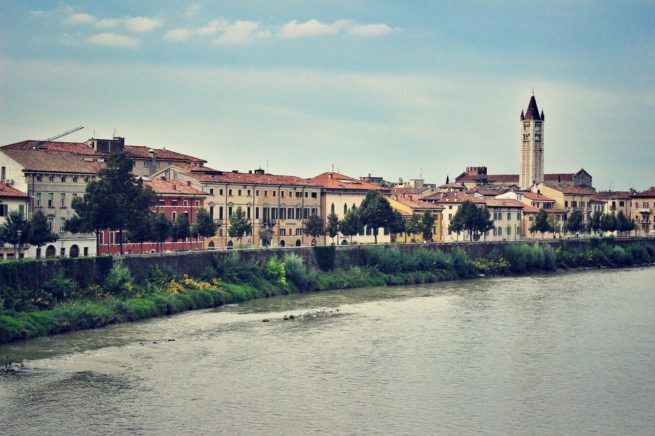 Check out more of our recommendations for luxury private jet travelers staying in Verona, Italy. Jet Charter Europe utilizes the following airport to fly clients privately to/from Verona, Italy and neighboring areas. Request a Quote or give us a call at 1-888-987-5387 to speak with one of our Verona Private Jet Charter service brokers for your next luxury vacation, business trip, or special event.